MANILA, Philippines - Motoring journalist James Deakin has proposed to make dash cams mandatory in all vehicles in the Philippines as a solution for the country’s traffic problem. In a viral video posted on Tuesday, July 19, Deakin said he believes that the mandatory dash cam is the most powerful solution to solve the traffic problem. 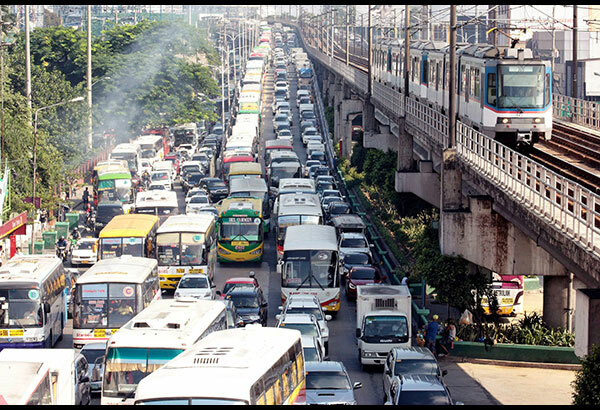 This is in line with the Department of Transportation and Communications’ (DOTC) commitment to improve vehicular traffic in the next 100 days. “If we could remove the bad driving part, I really do believe in my heart that we could dramatically reduce the amount of traffic out there,” Deakin said. According to Deakin, having a mandatory dash cam in all vehicles would enable citizens to report bad drivers that cause traffic problem. Using the device, a citizen can record a video of a driver behaving badly and send it to a central agency via email, Viber, Facebook, and other means. Enforcers would then look for the driver using the plate numbers gathered from the video evidence. “If it’s going to a proper government agency, you would then effectively turn this not only into discipline but a revenue raising model,” Deakin added. Deakin also suggested to “astronomically” raise fines for violators and use the money to pay for manpower, fund education programs including commercials, print ads and inforgraphic for motorists and eventually introduce mandatory testing for drivers. While many netizens agreed with Deakin, some said that many motorists who are not able to afford a mandatory dash cam would see it as burden.